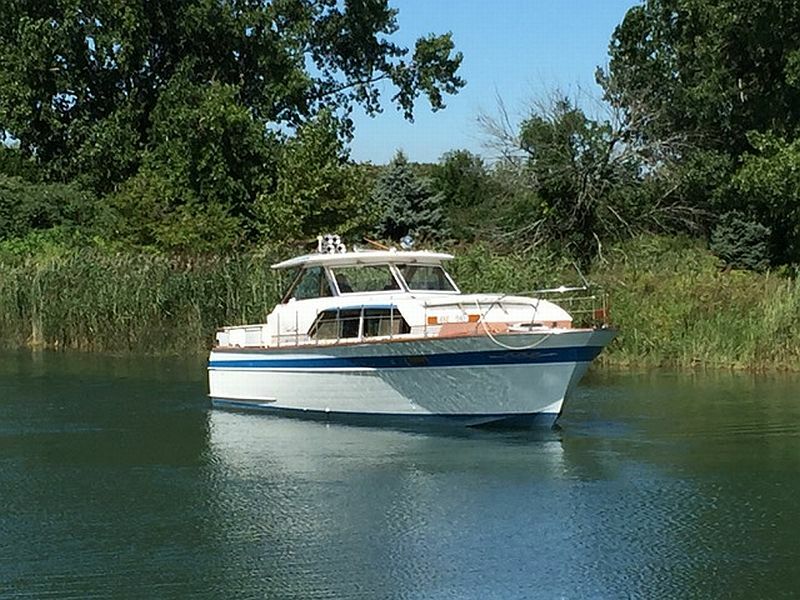 Award-winning cabin cruiser now available. 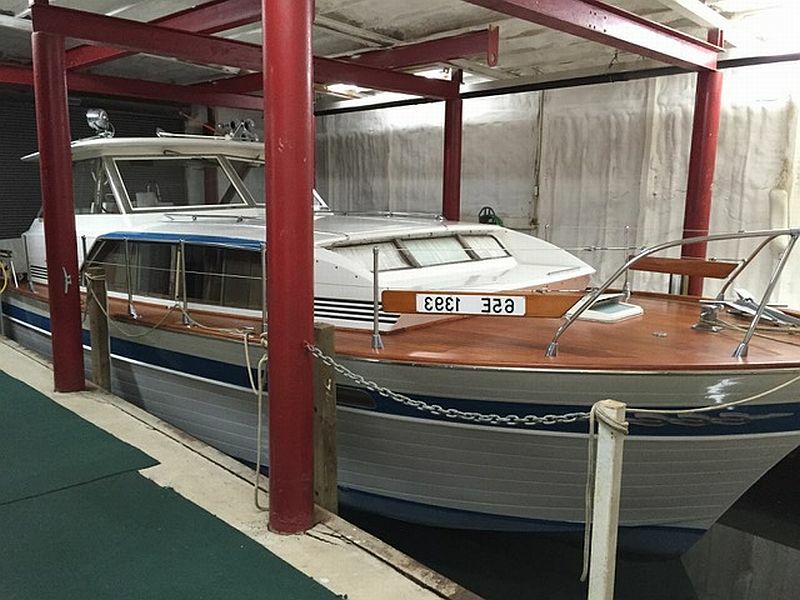 (CURRENT OWNER OF 32-YEARS) PRIDE OF OWNERSHIP SHOWS THROUGHOUT THIS 1963 CHRIS CRAFT 37 CONSTELLATION. 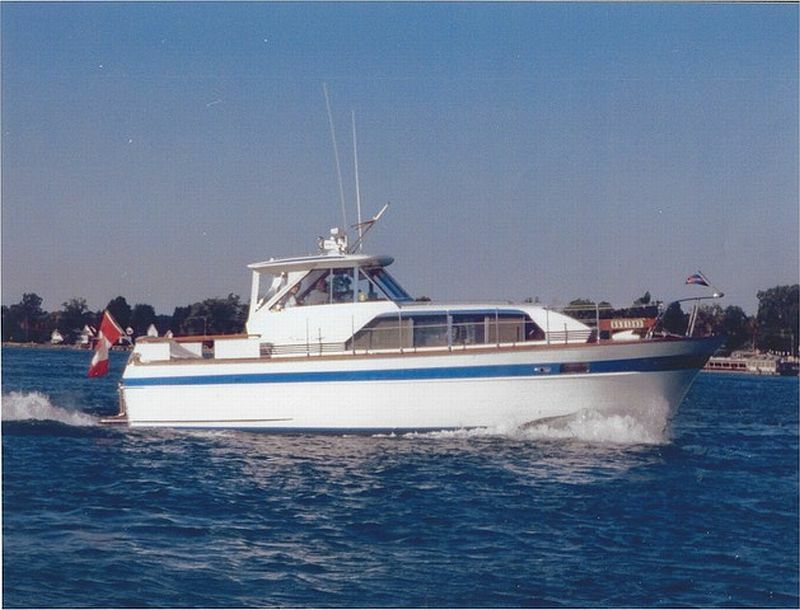 Freshwater / Great Lakes boat since new, this vessel features twin A.M.P Dolphin 8L V-10 315-hp Gas Engines with 285-hours. 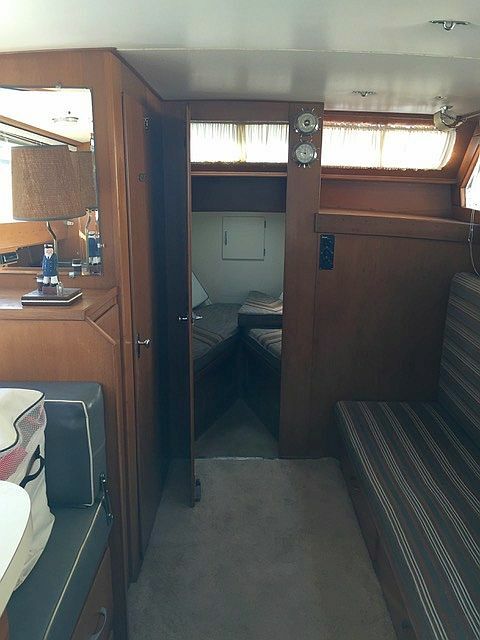 Notable features include, but are not limited to the following: air-conditioning, Head (Vacuflush) w/Vanity/Sink, Westerbeke Generator, Garmin (Color) GPS/Chartplotter, Pioneer AM/FM Stereo System w/CD-Player, Hardtop w/Canvas Back-Drop, and MUCH more! A comprehensive restoration was completed in 1998, including the finishes stripped down to bare wood from top to bottom. 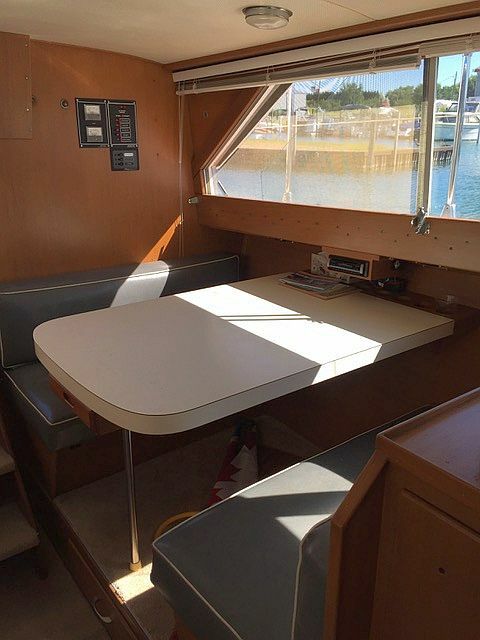 The bottom was redone with interlux antifouling paint and above the water line it was primed with epoxy primer and top coated with acrylic polyurethane. The teak decks where sanded down to fresh wood and re-coated with Tuffshield for a virtually maintenance free finish. 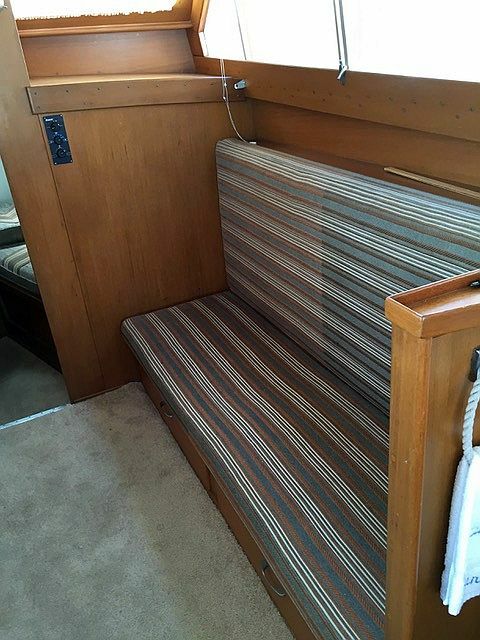 The swim platform and all other miscellaneous teak surfaces were also refinished. 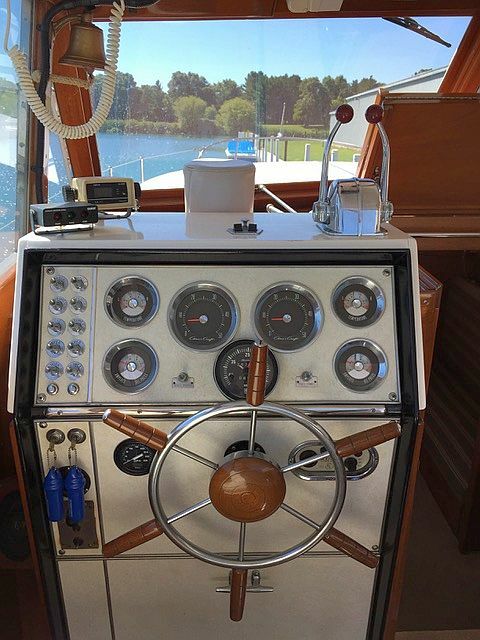 The boat includes a teak swim platform, DSC VHF, Garman GPS, Ritchie compass, spotlight, quad air horns, central air for cabin and Westerbeek 6.0 kW generator. 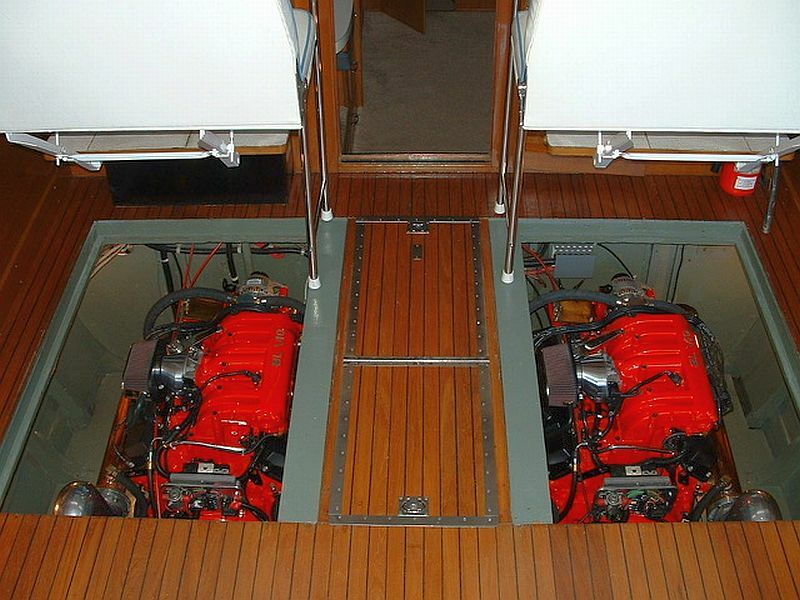 In 2000 the engines were upgraded with twin 8 Litre V10s (see advancedmarinepropulsion.com). The vessel continues to be stored inside during the off-season and looks and performs as best in class. The boat has won many awards in boat shows in Southern Ontario and Michigan.